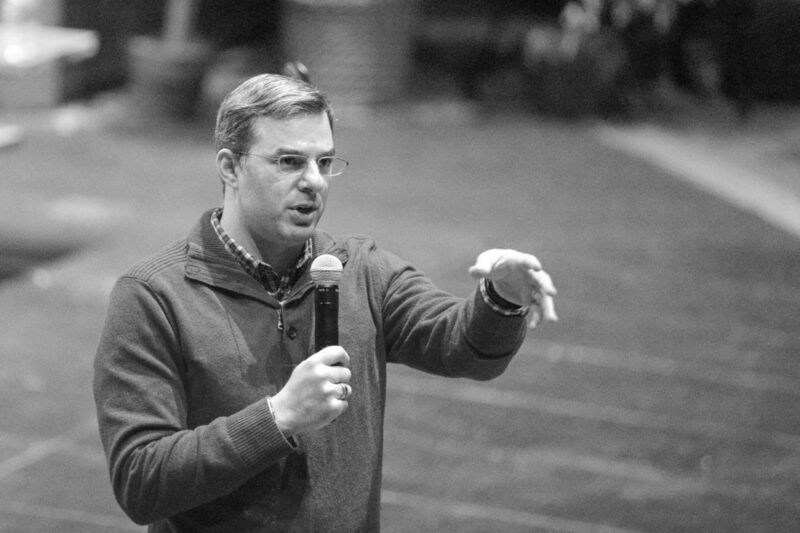 GRAND RAPIDS, Mich. — Hundreds packed into a school auditorium Thursday evening for the chance to pose — and in many cases shout — questions to Republican U.S. Rep. Justin Amash of Michigan. The spirited town hall meeting, which was scheduled for an hour, lasted well past that as the fourth-term congressman fielded two dozen queries from the crowd at Grand Rapids City High/Middle School. Attendees asked about a host of topics, including gun rights, the environment, education and President Donald Trump’s executive order on immigration. A federal appeals court ruling that delivered a victory to Washington state and Minnesota in their challenge of Trump’s travel ban was released during the event, but Amash said he needed to read up on the decision before commenting. Perhaps the most contentions moments at the town hall were created by questions about the future of the Affordable Care Act. The comments earned the 61-year-old retiree from Ada, Michigan, a standing ovation from many in the crowd. But Amash’s response, saying the ACA has “hurt a lot of people” and declaring his support for repealing the law and replacing it, drew a chorus of boos. Afterward, Bonis said he appreciated the congressman’s willingness to meet with his constituents, but that the atmosphere was troubling. “I have never seen our country more divided. Everybody’s in their own corner, and they’re kind of yelling at each other across the room. Nothing is ever going to get done that way,” Bonis said. Amash appeared to agree with that sentiment, talking about the need for bipartisan decision-making in Washington and a more civil tone. Amash, 36, is a self-described “libertarian Republican” who first was elected to Congress with the tea party wave in 2010. 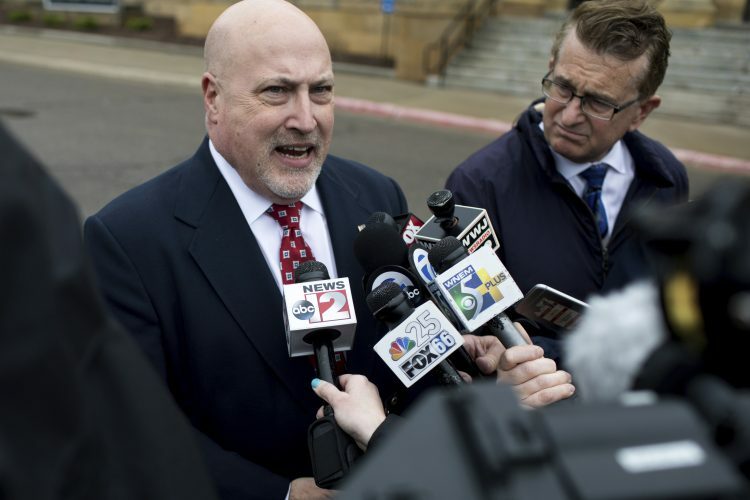 He represents Michigan’s 3rd District, which includes the cities of Grand Rapids and Battle Creek and their suburbs. Amash has been outspoken in criticizing Trump’s moves for months, including the travel ban.